Taking good care of your dog’s teeth helps lower their risk of developing tooth and gum disease and helps protect your dog from other associated medical conditions, such as heart and kidney problems. Keep your pet’s teeth healthy by following these great tips. The best way to look after your dog’s teeth is to start a good hygiene routine when they are a puppy as it can be harder to get an older dog to cooperate when you want to get in their mouth to clean their teeth. Bacteria and plaque-forming foods can cause build-up on a dog’s teeth, which can harden into tartar, potentially causing gingivitis, receding gums and tooth loss. There are brushes and toothpaste made for specially for dogs. Don’t use human toothpaste, as it can upset your dog’s stomach. Hold the brush at a 45-degree angle and move it in circular motions. Providing your dog with suitable chew toys also helps keep teeth clean by removing food particles, helping to massage the gums, scraping away soft tartar, and they have the added benefit of providing your dog with a way to relieve boredom or stress. Give your dog specially formulated treats to keep teeth healthy, and ask your vet about a specially formulated dry food that can slow down the formation of plaque and tartar. Start slowly, picking a time to brush when your puppy is calm and quiet. First rub the lips in a circular motion and then move onto lifting the lips on either side of their mouth and rubbing their teeth carefully with a finger wrapped in gauze or a soft flannel. Concentrate on the outside of their teeth, where plaque is most likely to build up, and praise your puppy throughout. When you finish brushing, give them a treat, so that they learn behaving themselves during brushing is a worthwhile and rewarding experience for them. Once your dog’s comfortable with having their teeth gently wiped you can progress to a soft dog toothbrush which can be found at your vet or online through Amazon. Brush without toothpaste at first to get them used to the sensation of the brush. Wet the toothbrush in warm water and brush with the head at a 45-degree angle, focussing on the gum line. Using gentle movements, stroke up and down gently. Once your dog is comfortable with their dog toothbrush you can start to introduce enzymatic canine toothpaste, specially formulated for dogs, with flavours that include meat and mint. Some dogs won’t allow you to feel around in their mouths, particularly if dog dental care only began later in their lives, but it is worth persevering. Be patient, over time you should be able to persuade them to have their teeth brushed but if they are severely resistant you could try oral hygiene gels, available from your vet, that contain enzymes to inhibit the bacteria responsible for plaque, chew toys and specially formulated dental chew products designed to reduce tartar and massage the gums. Your veterinarian will regularly check your dog’s teeth for any problems that need treating, including gum disease, oral tumours and other problems that can lead to serious health issues. 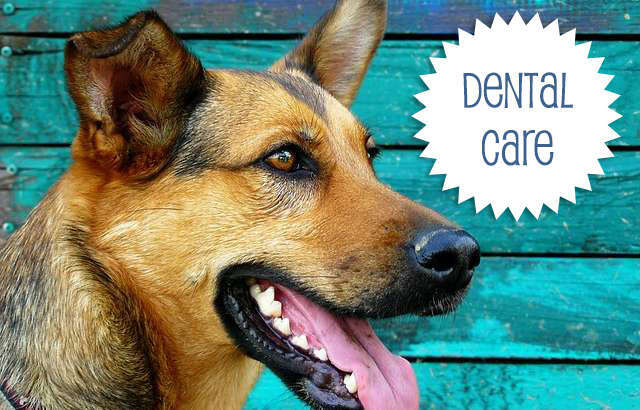 Your Vet may also take dental X-rays to check for abnormalities that could cause problems and they may recommend professional cleaning to reduce the risk of tooth decay and gum disease further. The vet will do this cleaning while your pet is under anaesthetic, as this makes it safer for vets to thoroughly check and clean. 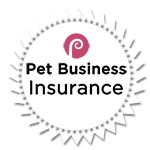 This is a costly undertaking so it is a good idea to ensure you do your best to maintain your dog’s healthy teeth. Ideally you should aim to brush your dog’s teeth every day, as you do your own, but if that’s not possible, try to give your dog’s teeth and gums a cleaning at least 3-4 times a week.